No one likes coming back to school from Christmas Break finding NONE of your students read over break. 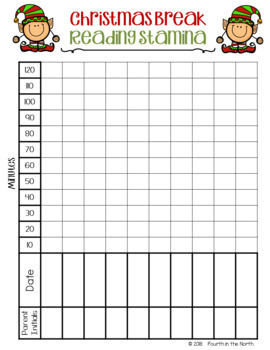 Make the "January Slips" in reading be a thing of the past with this handy holiday product! 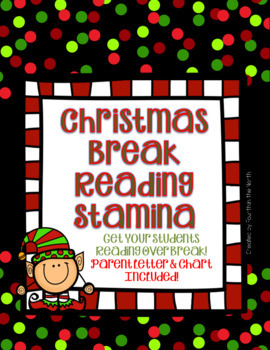 Christmas Break Reading Stamina is an easy-to-follow tool for families to help their child continue to grow in reading during days away from school. 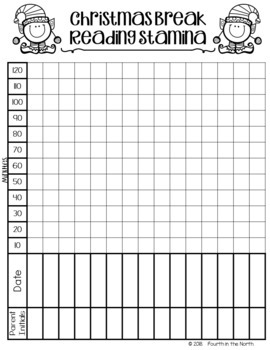 This product comes in two days-off formats that can best suit your school's calendar, as well as a parent letter that explains how to use the chart. This product can be found in black-and-white outline and color to best meet your printing needs. 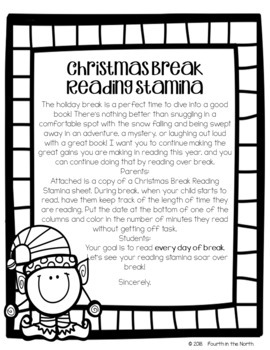 Say goodbye "January Slips" and say hello to reading growth thanks to Christmas Break Reading Stamina!